An Islamic State-subgroup based in Iraq’s Anbar Province issued a statement on January 5 claiming responsibility for targeting the Iraqi side of Saudi Arabia’s Arar border crossing, which came under attack during the early morning hours of January 5. Three Saudi Border Guards were killed in the attack and two wounded, while four attackers were also killed. Despite an ideological interest in targeting Saudi Arabia, we do not assess that the January 5 incident represents an alteration in the security situation along Saudi Arabia’s border with Iraq, but rather a likely opportunistic attack, while IS in Iraq (formerly ISIS) remains primarily focused on consolidating its territory amidst increasing difficulties connected to, among others, anti-IS coalition airstrikes. We assess that the interest in targeting Saudi Arabia is liable to be primarily pursued by radicalized Saudi citizens, including those that support IS, against which the country continues to crack down upon. 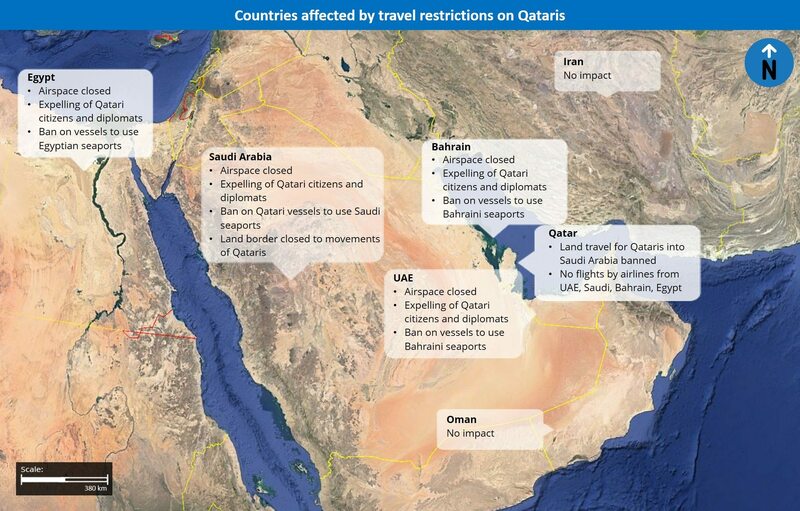 In Saudi Arabia, travel to Riyadh, Dammam, and Jeddah can continue as normal while adhering to basic security precautions and adherence to cultural norms. In Iraq, travel to areas outside of Baghdad and Basra should be avoided at this time, particularly to the north and west of the country, including the Anbar, Nineveh, Salahuddin, Kirkuk, and Diyala Governorates due to ongoing combat operations. During the evening hours of January 5, the Saudi Ministry of Interior (MOI) security spokesperson provided further details regarding the early morning attack at the Suyef Center border crossing with Iraq in Jadida Arar. The report provided by the country’s official news agency stated that four militants were intercepted attempting to enter Saudi Arabia via the aforementioned border crossing, causing two of the four to open fire. One was killed by retaliatory gunfire from Saudi Border Guards while a second detonated an explosive belt. The remaining two were then killed by gunfire and the detonation of an explosive belt or vest after being pursued by the Border Guards into the Arar Valley. As a result, three members of the Border Guards, including the commander of the Border Guard in the Northern Region, were killed. Two others were injured, with the official news agency reporting their condition as stable. Reports further indicate that an automatic weapon, pistol, grenades, and explosive belts were seized, along with an unspecified amount of cash. As previously noted, reinforcements were reportedly dispatched to the border crossing following the incident. In addition, the Islamic State (IS)-subgroup based in Iraq’s Anbar Province, known as “Wilayat Anbar”, issued a statement on January 5 claiming responsibility for targeting the Iraqi side of the border crossing with Saudi Arabia. In the photos included, at least 12 militants appear to be involved in the attack. Even without the statement by IS claiming responsibility for the attack on the Iraqi side of the border, we continue to assess that there are few other parties that would conduct, or have the capabilities to conduct such an operation. This is due to a number of reasons, including the modus operandi of the attack, involving suicide attackers, which is commonly utilized by IS, as well as the targeting of Saudi Arabia itself. In this context, when IS’s self-declared Caliph, Abu Bakr al-Baghdadi, accepted oaths of allegiances from various IS groups in a November 13 audio recording, he stated that the “serpent’s head and the stronghold of the disease” is located in al-Haramayn”, referring to Saudi Arabia. He then listed those that should be targeted, namely, Shiites, the Al-Saud ruling family, and security force. Moreover, Iraq’s restive Anbar Province, in which the Iraqi side of the Arar border crossing is located, continues to witness ongoing IS activity, with significant areas reported to be under the group’s control. Although the Iraqi government reportedly maintains control of areas immediately along the shared border with Saudi Arabia, reports indicate that IS has a firm presence in al-Nukhayb, located along a road that leads directly to the Iraqi side of the Arar border crossing and is approximately 119 km away. Taking into account the ideology of IS and the fact that the militants were equipped with suicide belts/vests, IS likely did not feel threatened by Iraqi government forces in crossing territory reportedly under their control. In this context, confrontations with Iraqi government forces other than those stationed at the border crossing was likely also perceived as an acceptable battle and, thus, IS may not have been concerned with being intercepted along the way. Meanwhile, the IS claim refers solely to the Iraqi side of the border, suggesting that its aim were Iraqi forces stationed there. This suggests that the four of those involved in the Saudi incident were able to bypass the Iraqi side of the crossing and enter into the Saudi border post, particularly given the proximity of the two. Thus, the January 5 incident would appear more of an opportunistic attack rather than one aimed specifically at Saudi Arabia. However, it cannot be ruled out that IS had other ambitions. This could include testing the capabilities of the Saudi Border Guards, conducting a sensational attack with the aim of increasing its media profile and gaining supporters, and/or creating fear among the country and other anti-IS coalition members. In this context, amidst increasing difficulties faced by the organization in Iraq, including due to coalition airstrikes, IS may be looking for a successful attack to boost morale. Along with the symbolism of a border crossing, Arar is home to an airport. In August, following the landing of the mortars near the city, unconfirmed reports stated that an IS “supporter” described the airport as “within reach of [the group’s] missiles” and would be targeted if it was used as a base for US missions in Iraq. During the 2003 Iraq War, reports that the US utilized Saudi facilities suggest that this airport was one such facility. Moreover, the timing of the attack, that is, coming amidst the dispatch of a Saudi delegation to Iraq to finalize the reopening of an embassy and consulate may be intended as a message to Saudi Arabia that, if it can attack them at their border, it can certainly target them in Iraq. Regardless, we assess that this attack does not represent a substantial shift in the security situation in Saudi Arabia along the Iraqi border. Even if specifically aimed at attempting to infiltrate Saudi Arabia, there are a number of reasons as to why the country remains prepared and capable of defending this border area. In addition to the substantially increased security that has been implemented, including as part of Phase 1 of the “project for border security” inaugurated in September 2014 that involves, among others, a 900 km security fence and additional monitoring towers, the country introduced a 20 km expanded buffer zone in November. Moreover, while three mortars impacted near Arar in July, two incidents over a period of approximately six months does not point to a pattern. There is also no indication that one successful attack means that the Iraqi government has lost some or all of control over certain border areas with Saudi Arabia. In addition, the Saudi Border Guards have demonstrated a capability in preventing attacks from moving past the border areas. In this context, the January 5 incident was contained to the immediate border area, causing the death of three despite the presence of two suicide bombers. 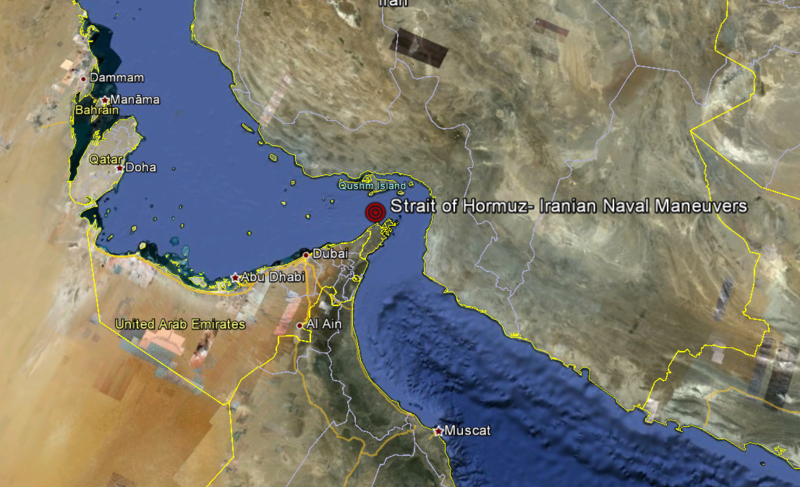 Similarly, in July 2014, an attack against the southern Wadia border crossing claimed by the Yemen-based al-Qaeda in the Arabian Peninsula (AQAP) also saw an attack contained to the border crossing area. During this incident, two Saudi Border Guards were reportedly killed and a third was injured, later succumbing to his wounds, while three attackers were also killed and a fourth was wounded and arrested. A fourth Saudi was then killed when the remaining two militants hiding in a building and holding ten individuals hostage detonated the explosives they were wearing. As on January 5, the relatively limited number of non-militants killed despite the presence of at least two suicide attackers demonstrates the Border Guards’ capabilities to prevent deeper infiltrations and reduce casualties. We also continue to assess that IS’s interest in opening a front with Saudi Arabia remains limited at this time. While their ideological desire to target the country certainly exists, as underlined by al-Baghdadi’s speech, the presence of two of Islam’s holiest sites in the country, and Saudi Arabia’s participation in the international anti-IS coalition, it is likely that they will defer to locally-based supporters rather than those operating in Iraq and Syria to further this aim. This is connected to our assessment that one of their primary goals at present is to consolidate territory in Syria and Iraq, particularly given increasing difficulties faced by coalition airstrikes and support offered to anti-IS forces. In this context, we further continue to assess that the primary threat facing Saudi Arabia remains that stemming from radicalized locals and Saudi citizens, including those that have potentially returned from fighting abroad, and that have sympathies to IS or other militant jihadist groups. The presence of such individuals is known and underscored by a number of factors, including an uptick, albeit relative, of attacks conducted by individuals with links or sympathies to IS. This refers to two known incidents, that is, a November 3, 2014 shooting of Shiites in al-Ahsa and a November 22, 2014 shooting of a Danish national in Riyadh. Regarding the former, 77 subsequent arrests announced on November 24 by the MOI stated that the core group involved had “direct links” to IS, while, on December 11, 2014, the official news agency announced that three people, who stressed their strong sympathies to IS, were arrested for the shooting of the Dane. Their presence is also underscored by the significant percentage of Saudis in the recent militancy-related arrests. This includes 109 out of 135 arrests announced on December 7, 2014, 73 out of the aforementioned 77 announced on November 24, 84 out of 88 announced on September 2, 2014, and 59 out of 62 announced on May 6, 2014. That said, despite this threat, we also continue to assess that Saudi Arabia’s counter-militancy capabilities remain high, underlined by the number of arrests, particularly those conducted and announced relatively shortly following attacks. Some of the 77 arrests announced on November 24, 2014, for example, were conducted in operations reported on November 4, one day following the al-Ahsa shooting. Similarly, following the November 22, 2014 shooting of the Danish national, arrests were recorded on December 11. Given Saudi Arabia’s interest in mitigating this threat and maintaining their security situation, including due to the presence of foreign companies operating in the country, we assess that similar arrest campaigns should continue to be recorded. In addition, while reinforcements were sent to the Arar border crossing following the attack, security precautions along the border have been increased to a particularly high level before this incident, underscored by the existing buffer zone. Thus, while a heightened presence may remain specifically at the border point, substantially changed measures along the border with Iraq are unlikely. On November 5, the morning calm in Bahrain’s capital was shattered when an unsuspecting foreign street sweeper was killed after erroneously kicking an crude homemade explosive device planted near a trash can. That morning, four other pipe bombs detonated almost simultaneously in Manama, killing another foreign worker and wounding several more. The Bahraini government alleged that this amateurish attack bore the prints of Hezbollah, the world’s most capable militant group. In all likelihood, the attack was the product of an increasingly radicalized younger generation of Shiite activists, whose long-ignored anger threatens to boomerang back in the form of an intensifying wave of violent attacks. Indeed, these pipe bombs may have been unsophisticated, but their impact will ultimately be felt across the island, from King Hamad’s palace to the top floors of Manama’s glimmering financial towers. 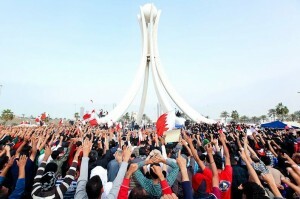 Bahrain’s opposition demonstrates at the now-demolished Pearl Roundabout. In recent months, Bahrain’s activists have taken to burning tires in an effort to block major roads, particularly near Bahrain’s International Airport. On the Island of Sitra, which hosts Bahrain’s largest industrial centers, the local police station has become a fortress, falling under nightly attacks by Molotov-cocktail wielding youth. Just two weeks prior to the Manama bombings, a police officer was killed by another crude explosive device after an anti-government demonstration in the village of al-Eker. The opposition is clearly attempting to hit the government where it hurts by staining Bahrain’s hard-earned image as a safe, foreign-friendly hub for international commerce. For its part, the government doesn’t seem deterred. The al-Eker bombing led security forces to impose an unprecedented security blockade on the village. On October 29, the government banned all demonstrations, while revoking the citizenship of 31 opposition activists weeks later. 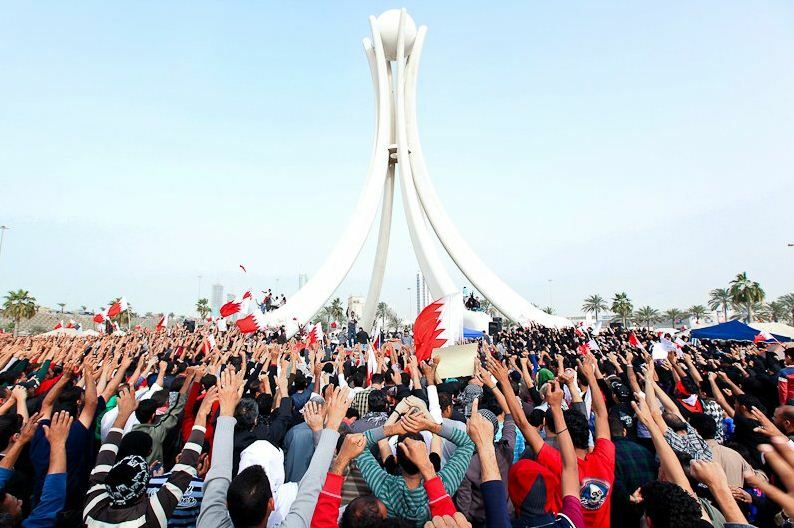 These moves have only resulted in further boiling the blood of Bahrain’s February 14 youth activist network, resulting in rioting, tire burning, and an increasingly worrying trend of bombing attacks. Getting the oil flowing again is a basic requirement for the success of any future government. An oil pipeline in Northern Yemen. Even as fears of continued factional conflict continue to attract media attention, the question of economic stability and sustainability in Yemen has barely received the consideration needed to avoid a spiral into the status of a failed state. The interim government in the country faces difficult political challenges in the weeks ahead as it prepares for what many observers are hoping will be the country’s first free election. The head of the interim government, Vice President Abed Rabbo Mansour Hadi, is already facing calls to resign as protests continue to rage in the streets of the capital city of Sanaa with demonstrators facing off against forces loyal to now supposedly deposed President Ali Abdullah Saleh. By Jay R. and Gabi A. Continued violations of the recently signed GCC power transfer agreement indicate that Yemen may be entering into a new status quo of instability. In January of this year, Yemen’s citizenry amassed in the streets initially demanding reform and change in areas of unemployment and corruption, but then shifted their cries to the ouster of their president, Ali Abdullah Saleh. 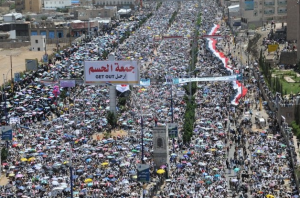 On January 27, approximately 16,000 demonstrators gathered in the capital, Sana’a, which was followed by a subsequent assembly of more than 20,000 people just one week later. But it was not until the “Friday of No Return” that the government claimed the first three lives of the revolution on March 11 setting off a wave of unrest that would escalate to opposition armed resistance in the form of an alliance between tribal chief Sheikh Sadiq al-Ahmar and General Ali Mohsen al Ahmar of the First Armored Brigade; no relation. Some argue that the hostilities which erupted between Saleh loyalists and opposition tribesmen and defectors reached the level of civil war. The Gulf Cooperation Council (GCC) peace initiative was originally expected to quel this unrest, has appeared to have ultimately failed to do just that in the immediate term. As part of the aforementioned initiative, Yemen’s President Saleh received immunity against prosecution for his perceived crimes against the protest opposition movement. Such a concession has enraged the people, who continue their movement to express their disapproval. 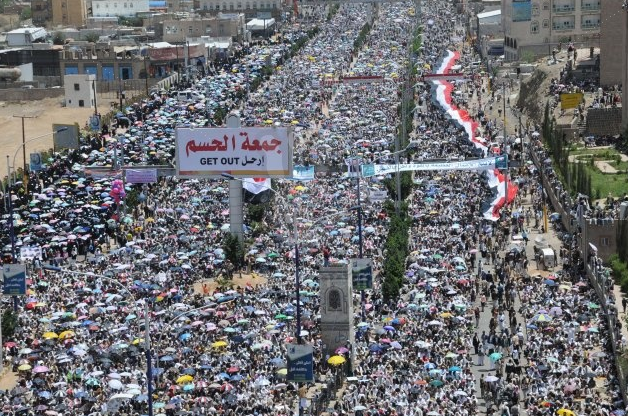 As such, thousands of Yemenis continued to march in the cities of Sanaa and Taiz. Upcoming naval exercises are the Islamic Republic’s language of choice for highlighting the detrimental impact of a Western military strike on the global economy. Iranian officials announced that their armed forces will commence a 10-day naval exercise on December 24, stretching from the Persian Gulf to the Gulf of Aden. The announcement comes after several US defense officials issued strong warnings against the Islamic Republic’s nuclear ambitions, while Saudi Arabia announced its intentions to form a unified foreign policy for Gulf Cooperation States. In addition, Israel has announced increased military cooperation on a number of fronts, including renewed cooperation with the Turkish air force, and large scale anti-missile drills with United States scheduled for the Spring of 2012. 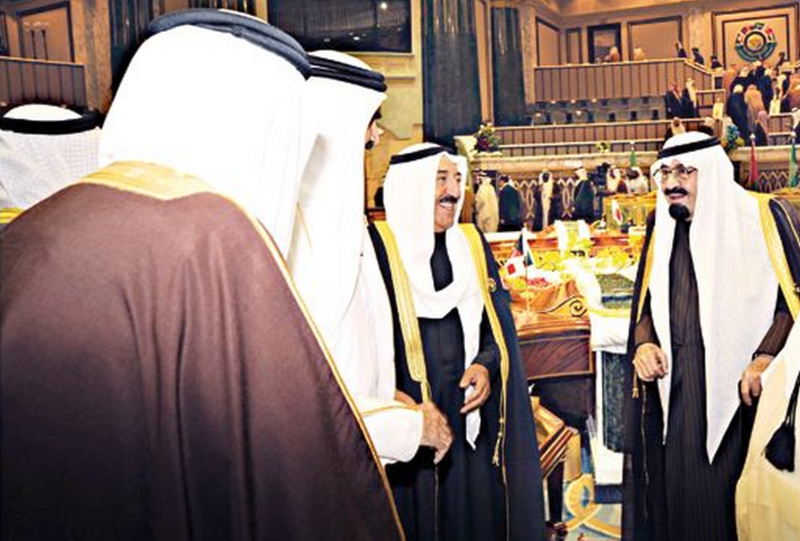 The Saudi Confederacy Proposal: Have the lines been drawn? 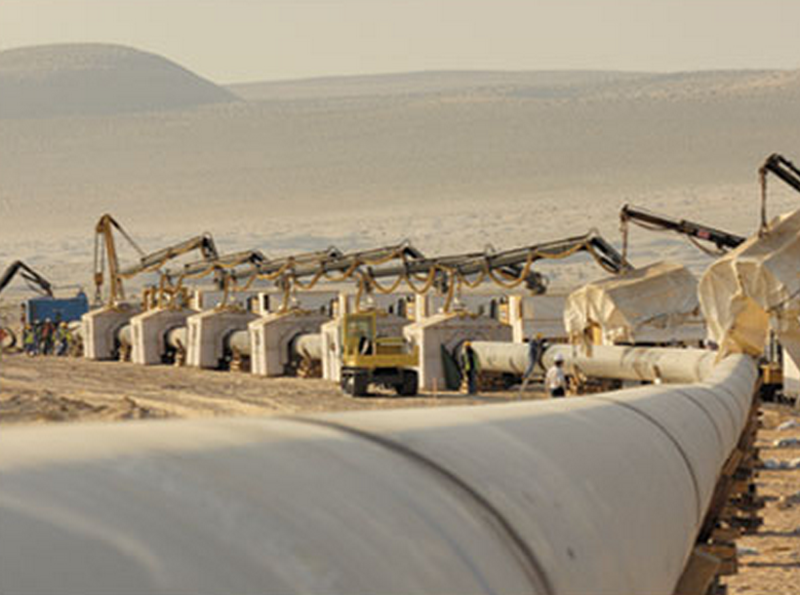 The agreement of nearly every Arab gulf state to the Saudi’s confederacy proposal highlights their concerns over the Islamic Republic’s pursuit of nuclear weapons. When the Arab peoples aligned with the British against their Ottoman rulers during the First World War, they did so under British assurances given to King Faisal that in return, the Arabs would receive their independence in the form of their own sovereign kingdom. The kingdom was to span from Turkey’s southern border in the north to the Arabian Sea in the south, and bound by Persia in the east to the Mediterranean Sea in the west. These Arab aspirations were dashed, however, when they discovered the Sykes-Pikot treaty, in which Britain and France had secretly agreed to divide the Arabian territorial spoils amongst themselves. Hey Buddy!, I found this information for you: "The Saudi Confederacy Proposal: Have the lines been drawn?". 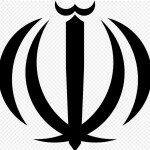 Here is the website link: https://www.max-security.com/reports/the-sunni-worlds-message-to-iran/. Thank you.